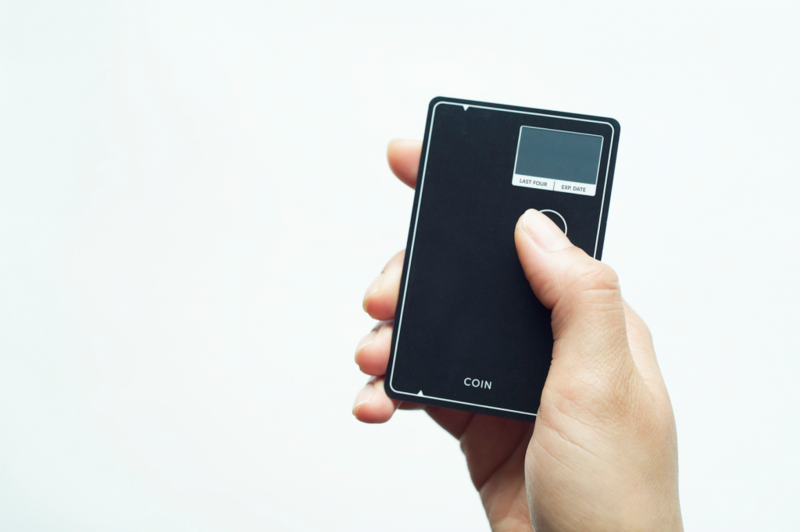 Coin debuted in November 2013, promising a single credit-card that can replace all of your credit and store cards (well, up to eight). 350,000 people backed the original crowdfunding campaign but it was plagued with delay, after delay, after delay. In April 2015, 16 months after it was announced, mass production began. My Coin arrived last week. The technology behind this thing is pretty incredible and the team should be commended. Although it feels pretty flimsy compared to a regular credit card, it has some pretty cool tech inside: an electronic strip, a 2-year battery, Bluetooth radio and e-paper display. There’s also a button that lets you cycle through your cards. Setup was a bit of a challenge for me. 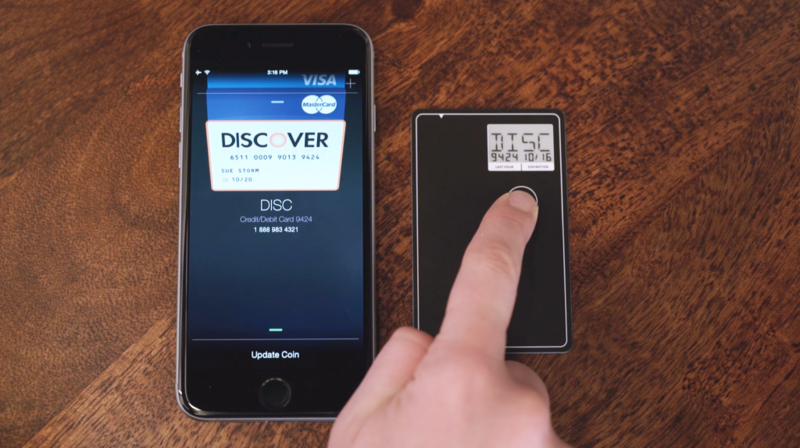 Coin ships with a dongle you attach to your phone to swipe your cards into the app. Unfortunately, of the four cards I tried to sync, only one worked on first swipe (an Amex if that makes a difference). The others I had to manually enter into the app. Once you’ve successfully added your cards into app, you hold the button on Coin to sync. The sync process worked flawlessly every time. A lot has changed since November 2013. 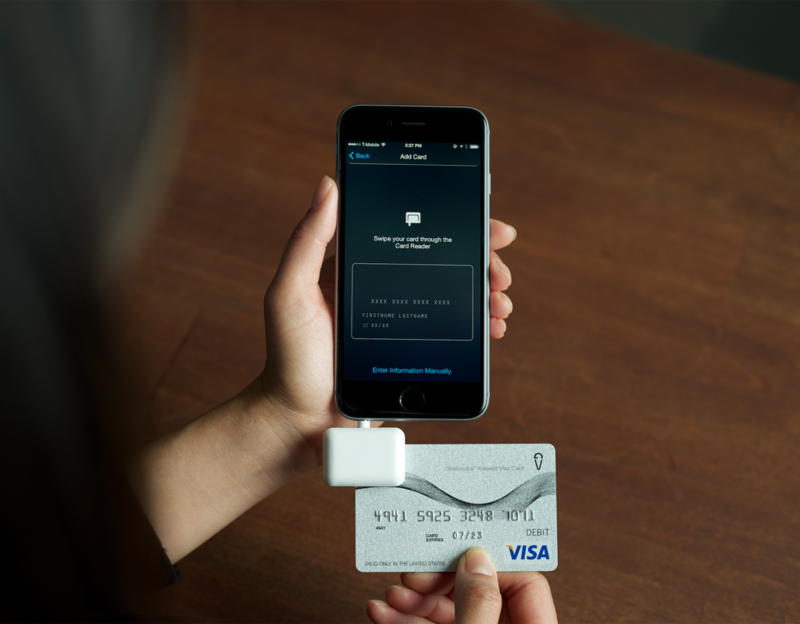 Of course Apple Pay poses a real threat to Coin as it also lets you consolidate a number of cards. However, merchants accepting Apple Pay are still few and far between. The most significant threat to Coin, however, is chip-enabled credit cards. By October this year, credit card manufacturers must transition from magnetic strips to chip-enabled cards. Instead of swiping cards, we’ll dip our cards into machines when we checkout (North America is one of the last countries in the world to incorporate this technology). When this switch happens, the chip-less Coin will be rendered useless. So it has an expiration date but how does it work right now? I have two Wells Fargo cards that are identical in design. The quickest way I can tell the difference between them is by observing the issue month and year so I was hoping Coin would make locating the appropriate card easier. However, when I tried to use Coin at a Wells Fargo ATM, the machine wouldn’t accept it. Additionally, there are a number of organizations that are not compatible with Coin. I have no desire to eat at Applebee’s but my credit card shouldn’t influence my bad restaurant choices. You might be missing out on Sizzling Double Barrel Whisky Sirloins, but if you frequent a bar that requires you to put your card down if you start a tab, Coin is not for you. It shuts down after seven minutes requiring a button-press to reactive it. Try explaining that to your surly server. It’s really a shame because the technology is really cool. Unfortunately, if I want to carry it around with me, I’ll need a backup just incase it doesn’t work. That being said, if you want a Coin, I’ll gladly sell you mine. Checks, no credit.